The UK Government must respond to a court ruling that Northern Ireland’s abortion laws are in breach of human rights laws, the Women and Equalities Committee has said. The Scottish Government’s decision to allow women to take abortion pills at home is fundamentally flawed because it is not consistent with legislation, a lawyer representing an anti-abortion group has told a court. An anti-abortion group that lost its legal challenge against a Scottish Government move to allow women to take abortion pills at home is to return to court. 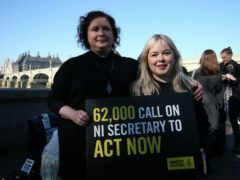 Stars of hit TV show Derry Girls are heading to Westminster to demand changes to Northern Ireland’s abortion laws. 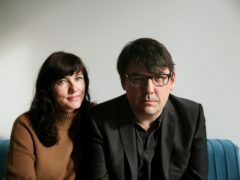 Northern Ireland’s chief law officer has questioned whether a Belfast woman who travelled to England for an abortion is eligible to challenge the region’s restrictive laws on terminations. A court in Belfast has heard of one woman’s traumatic experience of seeking an abortion after receiving a diagnosis of fatal foetal abnormality. Belfast High Court has been urged to find that Northern Ireland’s abortion laws are incompatible with human rights legislation. 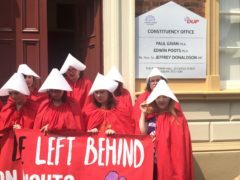 Women seeking abortions in Northern Ireland should receive the help they need without leaving the region, a campaigner has said. 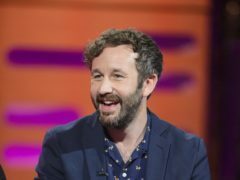 Hollywood star Chris O’Dowd has said Ireland is experiencing a wave of social progress as his home country voted by a landslide vote to reform its strict abortion laws. Celebrities have reacted to an exit poll that suggests Ireland has voted in favour of abortion reform in a historic referendum. 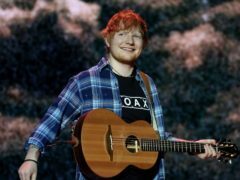 Ed Sheeran has denounced anti-abortion campaigners after they used one of his tracks. 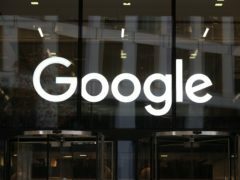 Google is to ban all adverts related to Ireland’s abortion referendum. 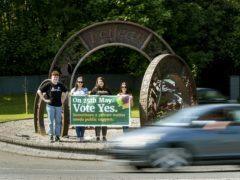 Key players behind the hit comedy TV show Father Ted have called for a Yes vote in Ireland’s abortion referendum. Actress and campaigner Gillian Anderson has criticised the appointment of an MP who opposed decriminalising abortion to a role representing women as a “devastating step backwards”.